George Clooney. Pierce Brosnan. Denzel Washington. Patrick Stewart. All over 50, and all still so cool. Maybe it’s the silver hair (or lack thereof), but when guys reach their fifties it’s like the fun starts all over again. For better or worse, you pretty much are who you are by this age, so you may as well enjoy it – and look good doing it. In this guide, we’ll go over some style essentials to keep the good times rolling into your 50’s and well beyond. In your 20’s and 30’s, a man’s suits are extremely functional. Suits are for jobs; suits are for weddings; suits are for showing how serious and grown up you are. 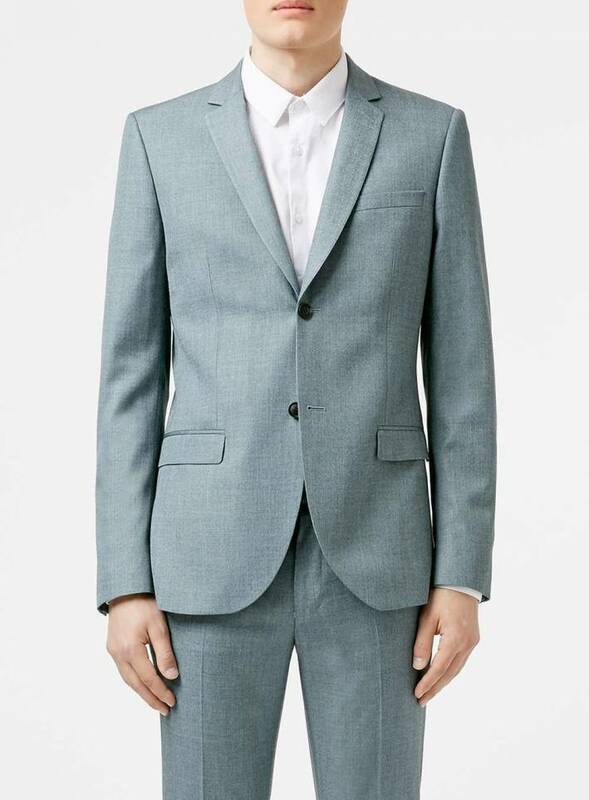 In your 50’s, however, suiting can start to get a little more fun. As you become more advanced in your field, you’re offered more leeway sartorially. Bolder colors and patterns are more acceptable because who’s going to say anything about it? You’ve earned this right! With these bolder suits, don’t be afraid to have a bit of fun with your shirt as well. The key, however, is not doing too much. If you are going for a brightly colored suit, go for a more subdued colored shirt with a very subtle pattern. If your suit has a strong pattern, maybe go for plain shirt in a fun coordinating color. All things in moderation. If you’re looking to sport the shirt on its own, the same rules apply. There’s nothing objectively wrong with a paisley printed shirt, but a bold print in a bold color can be overwhelming. A good rule of thumb is bolder the print, the more subtle the color and vice versa. The polo shirt is the grown mans t-shirt, and we all know there’s nothing better than a guy in a well fitting t-shirt. As you reach 50 and begin thinking about your post-retirement wardrobe, a good arsenal of polo shirts is a must. Polos come in a range of styles but nothing beats a classic cotton pique polo shirt. Pique is essentially a mesh weave that offers durability and breathability. A well fitting polo will fit close to the body, with the sleeves ending mid-bicep and the hem of the shirt falling about an inch below the belt line. Polos come in a range of colors and patterns and it doesn’t hurt to have a range for different occasions; from the links to a family gathering. You’ve learned a lot over the years and know what works for you and what doesn’t. There’s something about an older gentleman that has his watch; his lazyboy; his go-to spirit and cocktail; and has his pen. A good fountain pen, like the heirloom watch, is an incredibly personal item that becomes a symbol of you for those around you. Having that pen on you at all times shows the preparedness that comes with the wisdom of old age. It’s less about price and more about consistency. Over the years, you’ve developed your signature and you know what pen is the most comfortable for you. Buy a few and put them in your blazer pockets. Nothing like a man that’s always prepared. As you get older, invariably it’s hard to maintain the same vigor you had as a younger man. Hair starts to thin, joints ache, and eyesight begins to go. But just because your vision isn’t what it used to be doesn’t mean you should break out the old man readers from the drugstore, though. A bold pair of glasses is a great way to inject style into your wardrobe. Lens technology has opened up options for glasses frames, and new companies offer fashionable frames at affordable prices. Traditionally, heavy prescriptions and bi-focals were forced into a limited number of frame styles. Now, a range of brands offer stylish frames for all prescription levels. Wire aviator optics styles are a thing of the past. Look towards acetate frames in bolder colors like blues, matte black, or even tortoise shell. A bold frame can become a statement as well as a great way to stay as active make sure you look just as good as you did in your 20’s, 30’s, and 40’s. HOW DO YOU WANT TO LEVEL-UP YOUR STYLE NEXT DECADE?